At SFNM, we're experts at using natural treatments to help a patient whose immune system has begun to attack itself. Using a combination of naturopathic medicine, including tools such as acupuncture, diet, herbal medicines and appropriate vitamin therapies, the doctors at SFNM can help you rebalance your immune system. When we are healthy, our immune system efficiently protects us from infections and diseases. This protective process goes awry if we develop an autoimmune disease. If that happens, our immune system mistakenly attacks our own healthy tissues. Autoimmune diseases are very common. Many are familiar to a large number of people. More than 80 diseases including rheumatoid arthritis, Crohn’s disease and lupus have been identified as autoimmune diseases. These diseases are often characterized by periods of aggravation when symptoms are present and periods of remission when symptoms are absent or minimal. This cycle of aggravation and remission can challenge conventional medicine. At SFNM, we're experts at using natural treatments to help a patient whose immune system has begun to attack itself. While the causes of autoimmune diseases are poorly understood, we know that environmental triggers can stimulate or aggravate autoimmune diseases. Common triggers may include digestive problems, exposure to food allergies or sensitivities, and other immune system imbalances. Mainstream medical treatments often use powerful steroids or other medications that suppress our immune responses to control these diseases. Using strong drugs can be effective in the short term—and indeed may be necessary for serious flares. However, we know that long term use of steroids and other strong immunosuppressive medications can have a significant negative impact on health. In some cases, such drastic approaches may lead to other diseases, such as cancer or susceptibility to infections. Using a combination of naturopathic medicine, including tools such as acupuncture, diet, herbal medicines and appropriate vitamin therapies, the doctors at SFNM can help you rebalance your immune system. Our therapies can also decrease your risk of autoimmunity, as well as help you effectively manage your autoimmune disease. Using naturopathic approaches, we have seen many people successfully manage their autoimmune disease. More importantly, they find that they can often manage the disease while minimizing their use of suppressive medications and reducing the frequency of flares. Indeed, when our natural, holistic approach is used, we've seen many of our patients achieve long term remission. 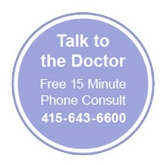 Whether your autoimmune disease is severe and requires medications or is relatively mild—our doctors can help. We'll work with you on an individualized plan to manage your health, rebalance your immune system and take an evidence-based whole person approach to your health care.